Yes, I am happy for you to keep my information on your database whilst you are dealing with my enquiry. Once we respond to you we will delete the information about you from our systems. This will take a minimum of one week as this website is backed up on a roling basis. Prof. dr. Gert-Jan B. van Ommen, PhD, is the former head of the Department of Human Genetics of Leiden University Medical Center (LUMC) and founder of the Leiden Genome Technology Center (LGTC), a principal genomics facility in the Netherlands. He is Director of the Center for Medical Systems Biology, CMSB, one of four Centers of Excellence established in 2003 by the Netherlands Genome Initiative aiming to improve diagnosis, therapy and prevention of common and rare diseases, and board member of the Netherlands Medical Genetics Centre (MGC), and the Center for Biomedical Genetics (CBG).Van Ommen has as major research interests in the development and application of genome research and diagnostic technology for disease study, diagnosis, therapy and prevention, including the societal aspects of genetic advances. Members of his department have contributed to the finding of the gene defects and disease mechanisms underlying Duchenne Muscular Dystrophy, Huntington Disease, Polycystic Kidney Disease, FacioScapulohumeral Muscular Dystrophy, Hereditary Neuropathies, Fragile X Syndrome, Rubinstein-Taybi Syndrome, Familial Hemiplegic Migraine and Episodic Ataxia. His group has pioneered the diagnosis of genetic disease, performing the first prenatal diagnosis using DNA markers of a disease (DMD) of which the gene was (then) still unknown, developed many gene mapping techniques, generating the first megabase map of a human gene (DMD), and developed several innovative mutation detection techniques. As of 1998, his group has been pioneering the exon-skipping approach for therapy of Duchenne Muscular Dystrophy. After preclinical research in patient cells and mice, this approach is now the potential DMD therapy closest to market. In collaboration with the Leiden biotech company Prosensa, in 2007 the first-in-man proof-of-concept study was performed and in 2009 Prosensa completed the first successful phase I/II systemic trial. Further exon skip developments are undertaken for HD, CADASIL, LGMD (dysferlin) and rheumatoid arthritis. Van Ommen is a founding member of BBMRI (Biobanking and Biomolecular Research Infrastructure, the European ESFRI biobanking infrastructure established in 2007), connecting 50 partners and 200 associated partners in 33 European countries; founder and coordinator of the national Dutch biobank infrastructure BBMRI-NL, established in 2009, and board member (treasurer) of the Public Population Project in Genomics (P3G), the global biobanking organization, and participates in several EU FP7 projects, including ENGAGE, analyzing GWA studies of ca. 90.000 samples across Europe. 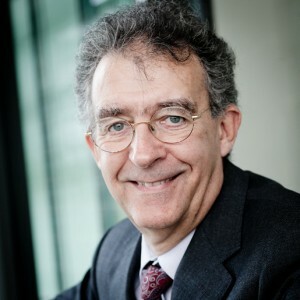 He is Editor-in-chief of the European Journal of Human Genetics, past president of HUGO and of the European and Dutch Societies of Human Genetics. He is a member of several National, EU and HUGO committees in the fields of Genetics, Innovative Health Care, Genomics, Bioinformatics, Biobanking, Ethics and IP issues. 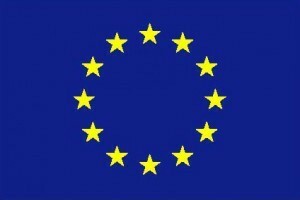 The NeurOmics project has received funding from the European Union’s Seventh Framework Programme for research, technological development and demonstration under grant agreement no 2012-305121.